Shirley Mertz, Ginny Knackmuhs and I are am among the 25,000 attendees at the 2014 American Society of Clinical Oncology (ASCO) Annual Meeting this weekend at McCormick Place in Chicago. We are there as a patient advocates with the Metastatic Breast Cancer Network. ASCO isn’t just about breast cancer. There are sessions on gastrointestinal cancer, genitourinary cancer, head and neck cancer, lung cancer, leukemia, lymphoma and myeloma, melanoma and more. If oncologists put together Lolapalooza, this is what it would look like. In 1964, seven physicians (Ansfield, Bisel, Freckman, Goudsmit, Talley, Wilson and Wright) had a luncheon meeting at Chicago’s Edgewater Beach Hotel. As noted here, the minutes from this first meeting indicate they were united by “their common concern for the patient with cancer.” At a time when most cancer-focused organizations concentrated resources on pathology and research, the seven founding members became early and at times singular champions for the need to place more emphasis on clinical considerations and the care of patients with cancer. Given ASCO’s patient-centric roots, it stands to reason the group would have a strong commitment to patient advocacy and it certainly does. There are special advocate review sessions on key presentations and opportunities to meet ASCO officers. 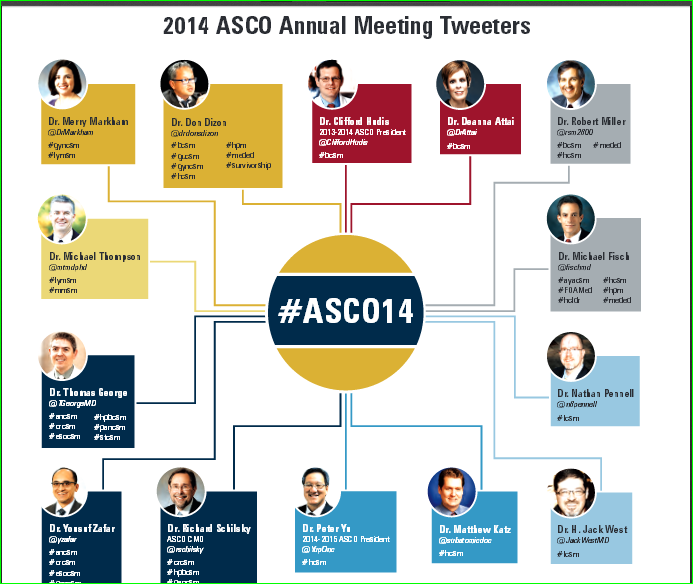 ASCO Connection, the society’s networking site, welcomes patient advocate comments/participation, too. Shirley Mertz, one of my role models, often talks about the power of patient advocacy. She says that metastatic breast cancer patients who join together together with a focused message can improve outcomes in the clinic. At ASCO, we patients are right there with our clinicians. Note that on Thursday, June 12, SHARE will offer a free ASCO highlights webinar on key metastatic breast cancer developments with Dr. Don Dizon. “I wanted to share my story in hopes of reaching others, especially young women like myself, who are dealing with this diagnosis,” writes Kristin, a 32-year-old mom who lives in Davis, CA. My name is Kristin Todd and I am 32-years YOUNG. In July 2013, I was 34 weeks pregnant with our first child (a boy!). My husband, Brian, had pointed out a lump in my breast to me and I brought it to the attention of an OB during one of my routine pregnancy checks. This first doctor essentially blew off my concerns, telling me I was too young for breast cancer and regardless, they wouldn’t do anything about it until after the baby was born. Wrong on BOTH counts. Being in the medical field myself (I am a nurse practitioner), I didn’t accept this answer. I brought the lump to the attention of my regular OB-GYN who shared my concern and got me in right away for an ultrasound and biopsy. My husband and I were stunned into silence when we received the news following a wonderful “Babymoon” to Santa Barbara the previous weekend. From that point forward, it was a mad dash to see doctors and make decisions quickly both for myself and for our unborn child. 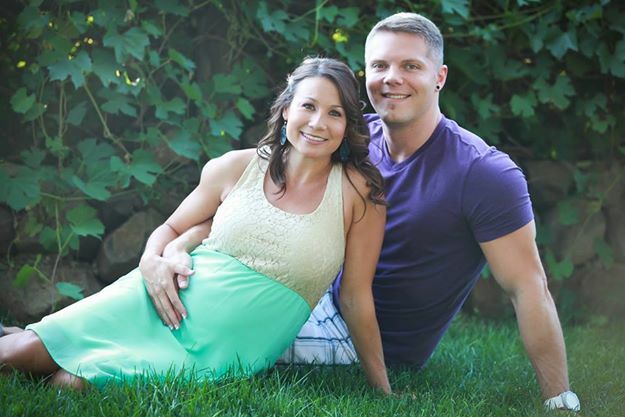 I went ahead and at 36 weeks pregnant, I had a lumpectomy and lymph node dissection. The day after my surgery, I was readmitted to the hospital with a kidney stone. A week following my surgery, at 37 weeks, I was induced and gave birth to our beautiful baby boy, Logan Kristopher. Three days after giving birth, I had my port placed for chemotherapy and had my first PET scan which delivered unbelievably devastating news…liver and bone metastases. I was crushed and was at a loss for how to feel. Here I was supposed to be enjoying my first few days of motherhood and instead I was given more bad news. A week after my son was born, I began chemotherapy. (I am ER/PR+ and HER2 -.) Since then, I have had 6 rounds of A/C chemotherapy and my PET scans since have shown great results. My liver mets have resolved and the majority of my skeletal mets have as well. People have asked me how I coped with having a newborn and doing my first chemo treatments. I had amazing family support. My my dad is a family physician in Florida and he has been a huge help when it comes to getting the best information and care out there. Without him, I would not have the benefit of several expert opinions whenever there is a decision to be made. My mother retired from her job in Georgia and moved out to California right away when I was diagnosed and my mother-in-law (also from Georgia) dropped everything to come help. So between the 2 moms and my husband, they took all of the night feedings so I could get a lot of sleep. My sister, cousin, and friends also took turns flying out from the southeast to help in any way they could. I’m slowly getting use to my “new reality” as I like to call it. Life with Stage IV breast cancer is a roller coaster. My family and I live for the good news and support each other with any bit of not-so-good news. But overall, my son is the absolute light of my life and the best motivation for doing everything I can to stay well and healthy for him. I so believe in the power of the mind and I have so much love and support around me along with my own positive outlook that I know I can get through most anything. Thanks for letting me share my story. If it gives someone else hope, that’s all I can ask for. Editor’s Note: Kristin, who works primarily with cardiac patients is currently back at work full time. 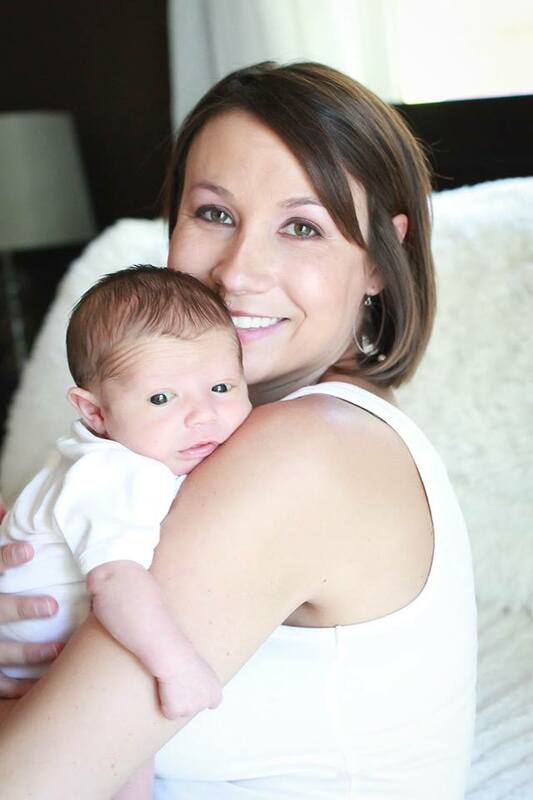 She’s been able to connect with other young moms dealing with metastatic breast cancer via a Facebook group: “Thriving with Advanced Metastatic Stage 4 Breast Cancer.” She learned of the Metastatic Breast Cancer Network via a Google search. We’re glad she found us! 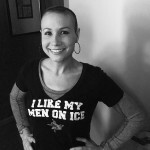 If you enjoyed Kristin’s story, please consider sharing yours. Email your story (500 words maximum) to us at mbcn@mbcn.org. Include your name and phone number–and don’t forget the photo! I’m one of the lucky ones, I know. Although I was diagnosed with metastatic triple negative breast cancer 5 years ago, I have been on the same treatment regimen since then. No progression, just blessed stability. I hesitate to write that sentence or say it out loud—afraid I’ll jinx my good fortune, always mindful of the next scan around the corner, when everything can change in an instant. Metastatic breast cancer (MBC), also sometimes called advanced breast cancer or Stage IV disease, is incurable, but still treatable. Oncologists like to say it is a chronic disease, but with an average life expectancy of 2.5 to 3 years, it certainly isn’t chronic yet. Give us 10 or 20 years of stable treatment and quality of life and we’ll be happy to call it chronic. Next week I’m going to ASCO in Chicago, the annual meeting of the American Society of Clinical Oncologists. I’ve reviewed the agenda. Interesting and promising research will be reported on, not just in breast cancer but across the cancer disease spectrum. One thing I didn’t find? Research papers about me, about those of us who are stable or have been NED (no evidence of disease) for years. We are defying statistics and maintaining that fragile, illusive state of tumor dormancy. Isn’t any researcher interested in running my genomic profile, sampling my blood and tumor tissue, establishing a baseline of a mets patient who is doing well? Isn’t it worth looking at patterns that might emerge from studying all of us at this stage of our disease? Why are we among the enviable few of patients living with metastatic disease? Not to collect our data seems like a lost opportunity, a cache of valuable information that should be captured. So, ASCO researchers, I am ready and willing. Study me. Collect my data. I know there are others out there in my situation. Last month I spoke at a program at NYU and a few people in the audience spoke up and said they had been NED for years. Sign us up, ASCO. We’re ready to help. I’m not a researcher or clinician, just a patient advocate, a woman living with metastatic breast cancer, who is attending the ASCO 2014 meeting and will take every opportunity to ask: Where’s my clinical trial? Please read and share Katherine O’Brien’s powerful reflection on Dr Peter Bach’s article in New York Magazine about his wife dying of metastatic breast cancer. We want to salute Laurie Kinsgston, a Canadian metastatic breast cancer patient advocate and author, for her work with the Canadian Breast Cancer Network. On May 1, 2014, Laurie and representatives from the Canadian Breast Cancer Network joined Liberal MP Hedy Fry to call attention to her private members’ bill to designate October 13th as National Metastatic Breast Cancer Day. Laurie, who lives in Ottawa, learned was first diagnosed in breast cancer in 2006, when she was 38 years old, with two little kids. Three months after she completed treatment, she learned the cancer had spread to her liver. Treatment went well–seven months later, her scans revealed no evidence of disease. But in November 2012, she was diagnosed with brain mets. Please read the full text of Laurie’s remarks here. Laurie is a gifted writer and an eloquent spokesperson–why not take a moment to tell her so? Read more about the history of National Metastatic Breast Cancer Awareness Day here. And here are 13 Things Everyone Should Know About Metastatic Breast Cancer. We are cheering our Canadian friends on and hope they succeed! You are currently browsing the MBCNbuzz blog archives for May, 2014.